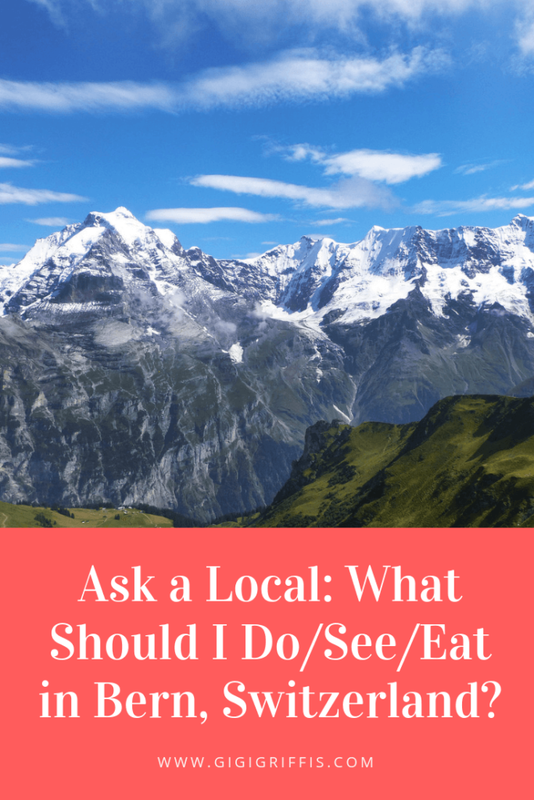 Welcome back to Ask a Local, a series of posts in which I interview locals all over the world about what to see, where to go, what to eat, and how to fit in in their city or town. Please note that the food tour mentioned was complimentary in exchange for a review. It was so good and Levi was such a great guide that I asked if he’d do this interview instead and let us in on the secrets of his city. Today, I’m happy to introduce you to Patrick Bolzli, a Bern native, tour guide, and developer who’s here to introduce us to his home: Bern, Switzerland. I was born and raised in Bern and have been here 34 years and counting. 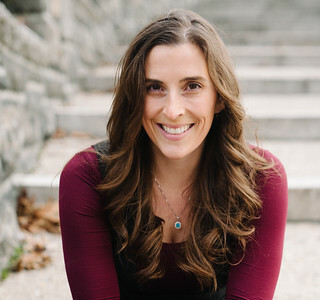 I am a software developer but use my free time to play in several orchestras (trumpet, cornet, flugelhorn) and to host free walking tours. I also travel as often as I can. The old town was founded in 1191 and is a UNESCO World Heritage Site today. 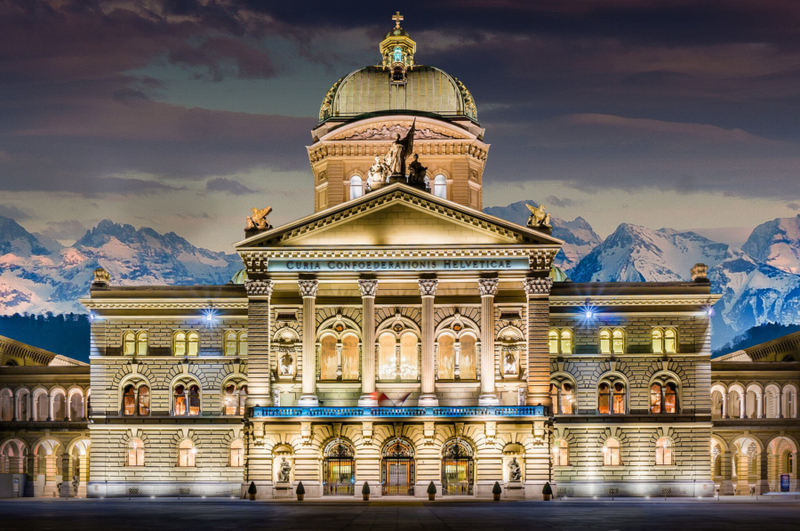 Explore the 11 fountains from the 16th century with their beautiful statues, the minster (the tallest church in Switzerland), and the clock tower (with its astronomical clockwork and moving figures). Watch the bears at the bear park (a sort of mini zoo near the center). Have a coffee in front of the parliament building. Visit the Einstein exhibition in the history museum. And enjoy the sunset from Rosengarten (rose garden). If you come in the summer, bring your swimsuit and join the locals for a refreshing swim in the crystal clear (but chilly) water of the Aare River. And nightlife in Bern might not be the most exciting in Switzerland, but there are a lot of small bars, theaters, and the like hidden in the cellars of the old town. It’s very fun to explore them. For something special, take a stroll through the Matte quarter—the old working-class area from medieval times. Or take in a concert at Reitschule (the old riding school), the most controversial place in town, which began with an illegal occupation in the ‘80s and is currently a graffiti-covered building that strikes some as art and others as an eye-sore. As Switzerland is pretty small, you can reach all the bigger cities (Zürich, Geneva, Basel, Lucerne) in less than two hours. 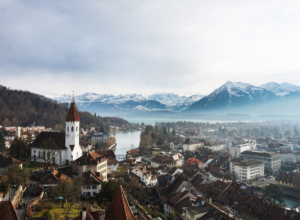 Thun, a beautiful city on a lake, known as the “gate to the Bernese Oberland,” is only 20 minutes away. 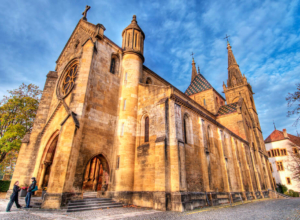 Another good option is a visit to the region of Emmental with its hilly landscape. Come learn how the famous cheese is made. Climb Gurten—the mountain in Bern’s backyard—and enjoy a fantastic view of the city and the Alps. Or visit the “glass fountain” in the middle of Bremgartenwald (Bremgarten forest). According to an old legend, its water has healing powers! Aside from the typical Swiss specialties, there is also the haselnusslebkuchen—a special type of gingerbread made with hazelnut. Kornhauskeller (at Kornhausplatz 18) is a beautiful restaurant and bar in the basement of the old granary. The Rock Garden restaurant and bar (at Christoffelunterführung 2) is right in the middle of the remaining foundations of the old city walls. Turnhalle Bar (at Speichergasse 4) offers live music in a former gym hall only a few minutes from the train station. And, finally, Altes Tramdepot (located next to the bear park) has great food and is famous for its home-brewed beer. 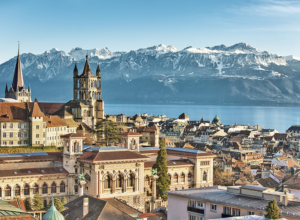 Yes, Switzerland is an expensive place, but we don’t like people to mention it all the time. In general, it’s a good idea not to talk about money. And don’t ever say (or try to say) grüezi. Bernese people would never use that term. Use grüessech (pronounced groo-sah) instead. Most Swiss are a bit shy. The best way to start a friendship is to approach us; don’t wait until we make the first move. Try the Rosengarten (rose garden). You get a perfect view over the old town, especially during the blue hour before sunset…Another good option is Gurten. There is a train to take you up. Bern is a cute city! Definitely a few things here I haven’t seen. I do get a kick out of the giant eating children statue, which isn’t mentioned. Maybe it’s too cheesy/touristy! My other interviewee recommended it, so definitely gets the local seal of approval. 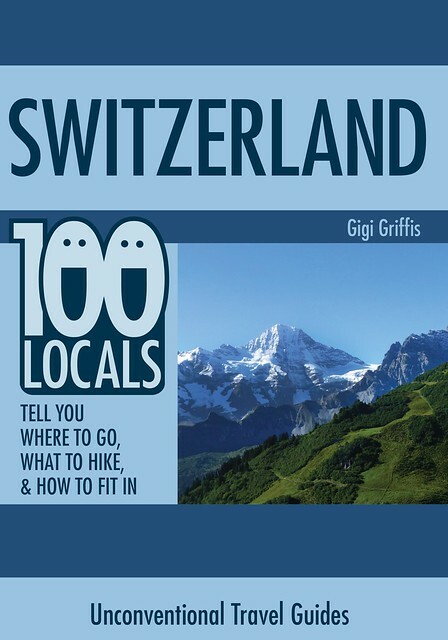 I am planning for a Swiss Trip this summer and will surely include Bern.